Perfect for your new addition to the family. This 3 Piece Set has flaps on the shoulder makes for a wide opening to allow baby's head to slip through much easier with no struggle. Snaps between the legs makes for easier for changing. The short sleeve onesie with ‘’Lil Bro’’ on it can be easily paired with a pair of shorts for warm summer days. 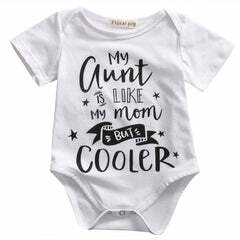 It also makes a great gift for the any family who has another little one on the way.